The big problem with switching a late offset 944 to a manual steering rack was the limited availability of tie rods. Previously the only option was to order them directly from Porsche for over $200 each. Well, we fixed that problem. 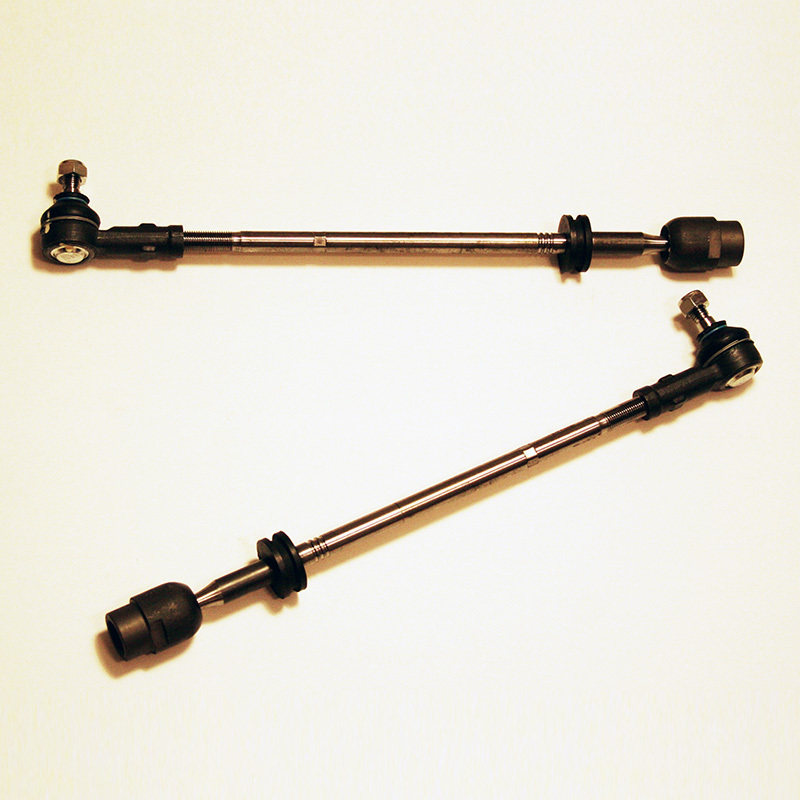 We now are offering in limited availability late offset manual tie rods. This item includes both tie rods and tie rod ends. 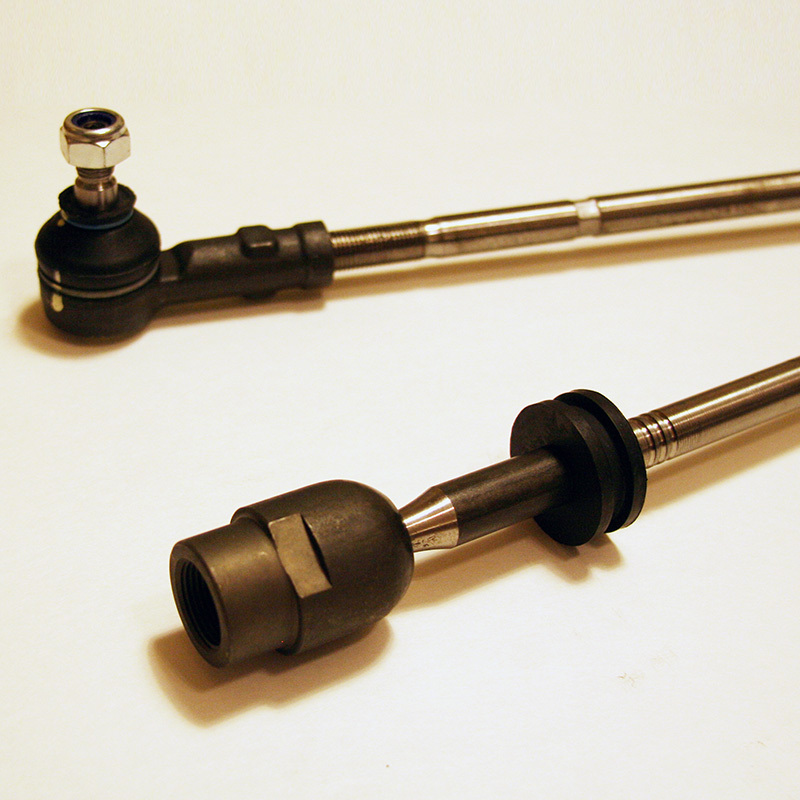 The tie rods are also upgraded to accept inexpensive "power" female tie rod ends.